Spring is approaching the Northern Hemisphere, and people are starting to take John Denver's "Spring" to heart. What people are these? Definitely hippies. 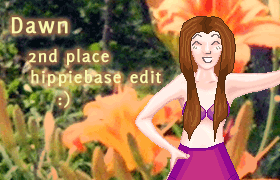 Therefore, I offer to you this contest: using my lolhippie base (featured below!) doll a doll that expresses your inner hippie. Important facets of the hippie culture are flowers, long strands of beads, flowing clothes, bright colors and earth tones (kinda contradictory, but that's how it goes~). A long long time ago, I decided to set off and doll a doll based on every single color! Red, black, green, blue, violet, white, orange, brown. By the time I got to brown though, I was kinda burned out ;) But I bet you guys aren't! 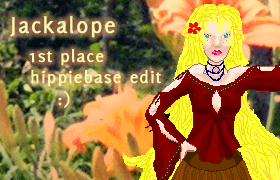 Therefore, this contest is pretty simple: Make a doll using a monochrome color scheme.